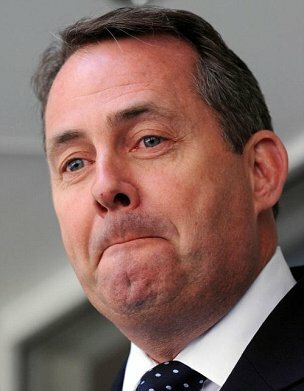 So Liam Fox is back from the political dead after having to quit as defence secretary. How interesting! It comes after a little noticed report from the Charity Commission into the affairs of his doomed charity, Atlantic Bridge. Conveniently it closes down any further investigation into his dubious past. Remember this was the charity that promoted the Margaret Thatcher and Ronald Reagan view of Anglo-American relations and gave a Margaret Thatcher Freedom medal to Henry Kissinger. The Charity Commission would never have looked at it if it had not been the persistence of Stephen Newton the Labour blogger who lodged a complaint. The charity run by Mr Fox and his best man, former special adviser,Adam Werrity ( remember him too?) was found not to be a charity, not have charitable purposes and was also operating in breach of Parliamentary rules from Liam’s office in the House of Commons.You might have thought after the furore over the Smith Institute which was dragged through a formal inquiry for being too close to Gordon Brown,you would get a devastating critique from them. You’d be wrong. The report reveals that because it was a faux charity – HM Revenue and Customs demanded that some £50,000 in back tax, which according to the Financial Times, was paid by Tory donor.billionaire City trader Michael Hintze. See http://on.ft.com/N5zxqS as part of a £53,478 loan to the charity from his hedge fund company CQS. It added that there was ” no evidence the trustees acted in bad faith” and “no compelling evidence of deliberate wrongdoing.” It accepted the evidence from the trustees that they just thought they were acting lawfully and its was perfectly proper to set up a charity to pursue the political objectives of Margaret Thatcher and Ronald Reagan. Of course it could just be that Professor Patrick Minford of Conservative Way Forward, Lord Astor of Hever, a hereditary Tory peer, and the lobbyist Andrew Dunlop a former advisor to Margaret Thatcher, were a load of naive gits who didn’t have a clue how a charity works or an inkling of charity law. And of course their board of advisers was not stuffed with clever worldly political activists – it was only composed of William Hague, George Osborne and Michael Gove. Curiously Dame Suzi Leather . chair of the Charity Commission, could have referred the matter up to Dominic Grieve, the Attorney General, to rule on whether there was a case to answer. But conveniently for Dominic he was not placed in such an embarrassing position. Of course it was different for the Smith Institute – everybody knows that Gordon Brown and Ed Balls were through Wilf Stevenson (now Lord) manipulating charity law and unlike Liam Fox had to be taken to task in much stronger terms. Job not well done, Dame Suzi. But I am sure you will be up for peerage as soon as your appointment ends, as a thank you for saving the present Establishment a lot of angst. This entry was posted in Uncategorized, Whitehall and tagged atlantic bridge, charity commission, liam fox, margaret thatcher, michael hintze. Bookmark the permalink.